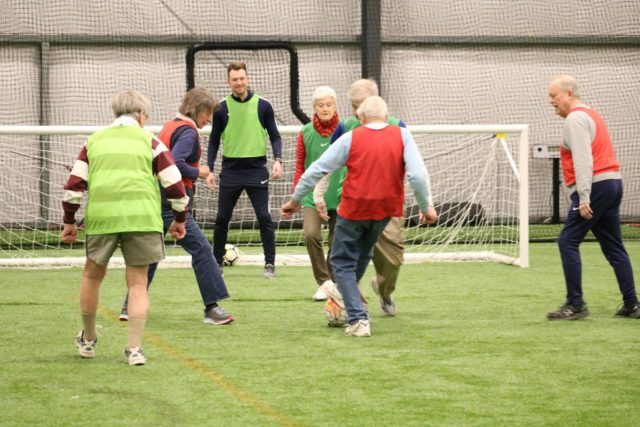 Residents ranging in age from 64-95 joined RiverWoods Exeter staff and Seacoast United for the first-ever Walking Soccer game in NH. 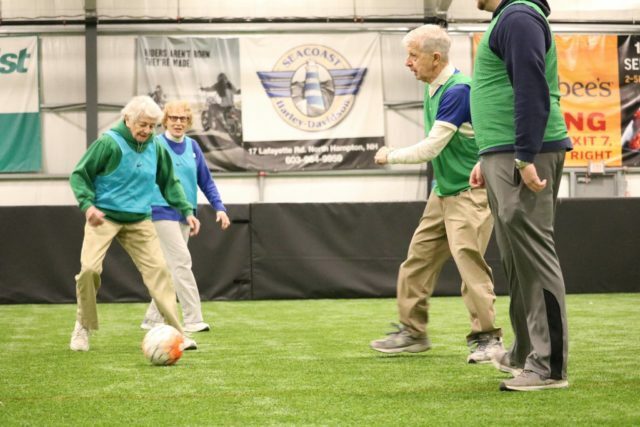 RiverWoods Exeter, a Continuing Care Retirement Community, and Seacoast United Sports Club took part in the first ever Walking Soccer initiative in New Hampshire on Wednesday, March 27th at the Seacoast United Sports Complex in Epping. Between the RiverWoods residents and Seacoast United staff there were 18 participants in total who were split into three teams of six. Walking Soccer was originally founded in the United Kingdom and was officially formed by Chesterfield Football Club Community Trust in 2011. The game really came to the fold in 2017 after several other clubs supported it including Seacoast United’s partners Brighton & Hove Albion Football Club. Walking Soccer stays very true to the traditional game of soccer with the key difference being that players cannot run during the game. If a player is running the opposition is awarded a free kick. Although Walking Soccer has a number of positives and promotes a healthy lifestyle, the most significant impact that the sport has on its participants has more to do with encouraging social engagement, camaraderie and overall mental wellbeing. 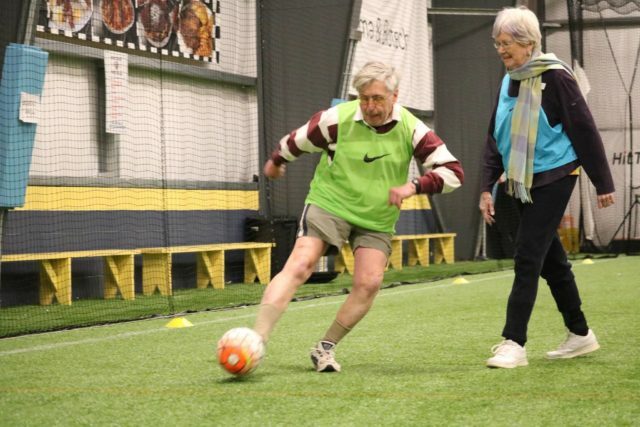 Several studies from the UK have shown that Walking Soccer has helped to combat dementia and other mental diseases associated with age.